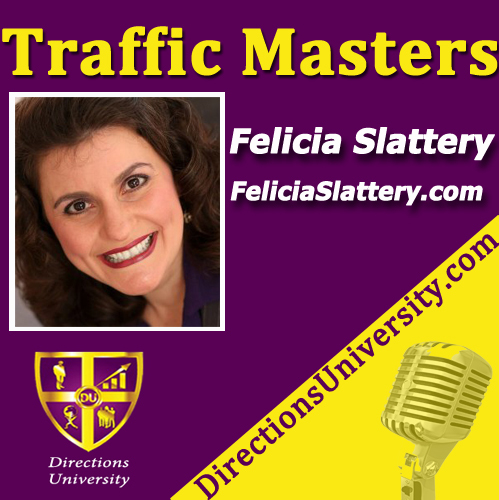 Felicia J. Slattery is a Communication Consultant, Speaker & Coach. Felicia J. Slattery, M.A., M.Ad.Ed., is on a mission to motivate, inspire and train smart business owners and entrepreneurs to create meaningful connections through effective communication and public speaking. An internationally-acclaimed and award-winning professional speaker, a #1 best-selling author of Kill the Elevator Speech and 21 Ways to Make Money Speaking, and the creator of the trademarked Signature Speech™ system, Felicia presents to audiences large and small on topics related to communication, speaking, and being a successful entrepreneur. She works with experts and entrepreneurs to help them more effectively communicate their messages on and off stages while building and maintaining strong relationships locally, nationally, and globally, both in person and virtually using the Internet.